How to Build Backlinks for Travel Websites Using Twitter? on November 7, 2018 November 7, 2018 by codewingLeave a Comment on How to Build Backlinks for Travel Websites Using Twitter? I think you would probably agree with me when I say building backlinks for travel website is difficult. It is a highly competitive market! But, I have been using Twitter to build backlinks for my travel blog that I started for fun. Using a secret technique, I have been able to land guest posts in several highly notable travel blogs. How would you like to see my secret of building backlinks using Twitter that I personally use? Well consider yourself lucky … ? …because today I am going to share it with you. You can find guest posts opportunities using the underutilized power of Twitter Search. Below are some search strings to use in Twitter search. Copy of one the above string, paste it in Twitter Search and click on ‘Search’ button. You will see several Twitter feeds. Some tweets will be about travel guest post opportunities like below one. Some tweets will be just sharing of guest posts like below, which you could convert into guest post opportunities. I will show you exactly how to do that! After you have identified the blogs that are either looking for travel guest posts or accepting guest posts from other travel writer, it is time to reach out to them. You could write to them on Twitter. But, since Twitter limits the characters you could write in a message, I prefer to contact on official email address or contact us page on the website. I could write longer messages and explain how I would bring value as a guest post writer to his/her website. Go to the Twitter profile page of the traveller. In most cases, the website link is there. Click on the link and go to the website. Find out the email address to contact. Hint: You will find contact us page on most blogs. If you don’t, go to ‘About’ page or Blogger page. You are most likely to find contact email in this page. Remember that travel bloggers get several spam emails every day from SEO companies for guests. Unless you think you could bring value as a guest post writer, DON’T contact them. You don’t want to come across as another SEO Company or consultant who just want to get backlinks. You need to add value! Go through the website and read through the blog posts. Identify how you could add value. When you have done that, its time to write them email. Personalize the email and address by the name. If you have read an article on the site, include it in the conversation. Below is one message that I used to reach out to for a guest post. We exchanged a few more emails. And, the article was live! If you do it right, you should be able to land as a guest post writer in some really good travel blogs. If you work for a travel agency, most travel bloggers will ask for payment to give a backlink to your travel website. However, if you could bring value as a guest post writer and won’t link to any commercial website but to your blog and informative articles, most won’t take for payment. You have seen how you could build backlinks using Twitter for your travel website. Give it a shot and let me know how it went. 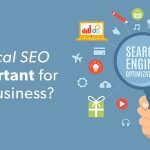 Should you have any questions about backlink building or Search Engine Optimization (SEO), please drop a message in the comment section below or contact us page.